What is advanced laparoscopic surgery? Laparoscopic surgery is often referred to as minimally invasive surgery. Laparoscopy utilizes small (1/2 inch or smaller) incisions instead of the large incision used in traditional open surgical procedures. Through the small incisions trocars (pen shaped tubes with a valve) are inserted into the abdominal cavity, which is inflated with carbon dioxide gas to create space between the internal organs and allow visualization and organ manipulation. One of the trocars is used to allow access for the video camera, whic also has a built-in light source. Today, most modern laparoscopic systems provide high definition image quality and the surgeon and the team view the procedure on a separate video monitor. These systems provide outstanding visualization and access to anatomical structures that are otherwise only accessible via large incisions that may extend to the back or the chest. The surgical instruments are inserted through additional trocars. The laparoscopic instruments are desined to fit through the thin trocars yet provide similar efficacy to their traditional counterparts. This approach is considered less invasive because it replaces the need for one long incision to open the abdomen. The number of incisions and trocars depends on the complexity of the procedure. The revolution of laparoscopic surgery started in the end of the 1980s with the advent of laparoscopic cholecystectomy (removal of the gallbladder). Although, initially most surgeons were skeptical, at least, about the new technology, the dramatic improvement in postoperative pain and recovery time was undeniable. Application of the laparoscopic technique requires skills that are often completely different from skills necessary to complete traditional surgical procedures. By today, generations of new surgeons were trained with this technology and the laparoscopic approach became the gold standard not only in gallbladder surgery, but also, more complex operations such as splenectomy, adrenalectomy, anti-reflux operations and weight loss surgery. Novel technologies are being developed based on the experience in laparoscopic surgery, which include robot-assisted surgery, hand-assisted laparoscopy, SILS (single incision laparoscopic surgery), NOTES (natural orifice transluminal endoscopic surgery). By now, almost every known general surgical operations have been performed laparoscopically. Yet, we learned that in some operations laparoscopy simply do not provide a benefit or may increase the risk of the surgery. There are adavanced laparoscopic operations that are, due to their complexity, only performed by expert surgeons who often completed additional training beyond their basic general surgical education. Please note that not every problem is amenable for the laparoscopic approach and your particular condition may prevent this technique to be applied. 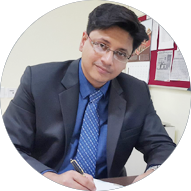 Your surgeon will discuss the options with you in detail and eventually it is the surgeon's job to decide on type of surgical technique to be utilized.